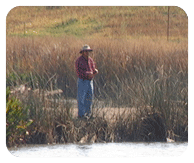 Canoes, small fishing boats, and fishing floats are great ways to enjoy the pond. This is the perfect place to take your remote control boats or model sailboats and enjoy a venture out on the waters. If you have any questions, please contact us. 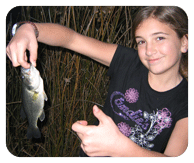 Enjoy a little boating and fishing on our pond stocked with an assortment of fish and water life. 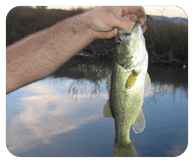 Largemouth Bass, Black Crappie, Channel Catfish, Bluegill and Bull Frogs are a few types of aquatic life that you will find. We encourage catch and release of all big bass. Largemouth bass have been caught in the 7.5 lb. range. At times the hot springs operates on the “honor” system. You will find a can at the entrance of the pool to deposit your money. All entrants must pay the entrance fee! 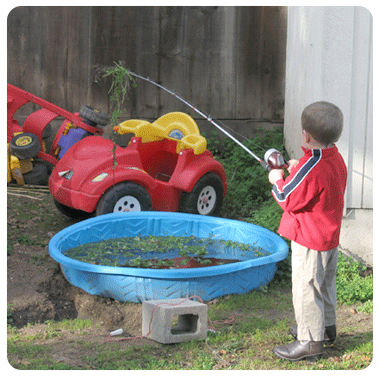 Get your children out of the backyard and out to the Franklin Ponds!